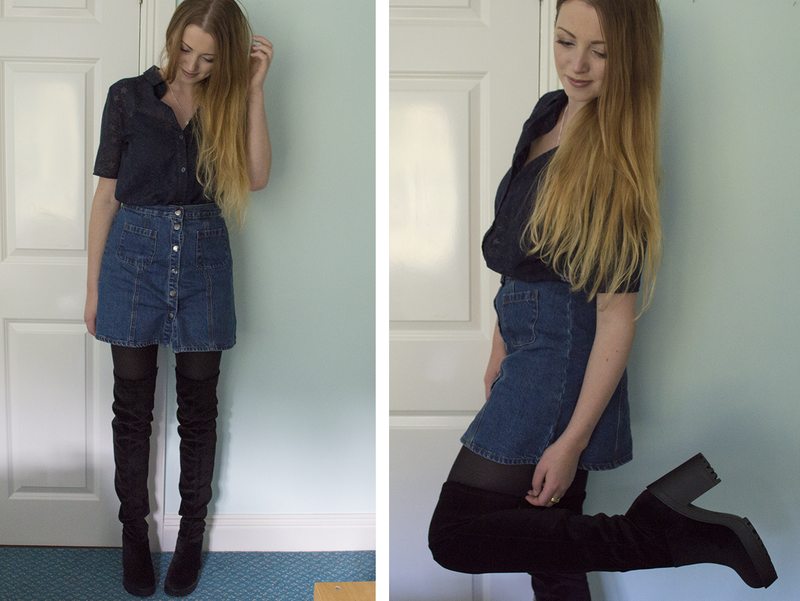 They may be a bit controversial, but thigh high boots are one of my favourite trends for this autumn. I'd been on the hunt for a decent/affordable pair for a while when I found these beauties for just £39.99 in H&M - that may not sound overly cheap, but you'll struggle to find any under £60 elsewhere on the high street. I also love this pair in particular because their slouchy style gives off less of a "Pretty Woman" vibe. Plus, they're made from my current obsession, (faux) suede! 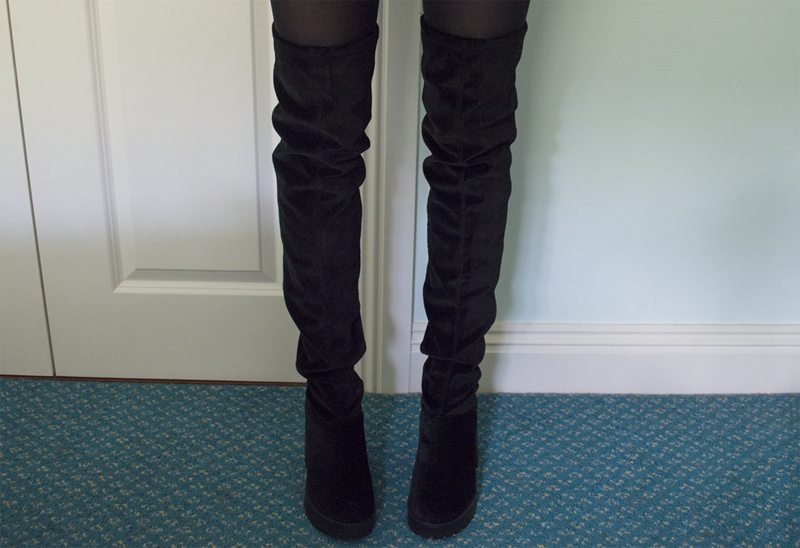 Thigh-high boots can be super flattering, especially heeled ones like these. When paired with tights and not-very-revealing clothes, they can even almost look demure (hey, I said almost). I've spent more time than I'd care to admit searching Pinterest and other websites for inspiration when it comes to styling my boots, and I've even managed to convince myself that they could be worn to work (the fashion world says it's fine, so it's fine). But seriously, there are soooo many outfit possibilities with these bad boys, so I'm sure you'll see them again in the months to come. Also, yes, this is the outfit I was wearing in my last post - I took the photos on the same day, so don't judge me! This denim button-up skirt is another of my favourite pieces for this season, it's such a useful basic and gives outfits a cute little 60s twist. The Primark blouse is a year or so old, but I think the burn out print is a great way to wear muted florals for autumn, and the modest cut means it pairs up well with the boots for daytime wear. Are you a thigh high boots fan? How would you style them up? Let me know below! Not normally a fan and I hate H&M, but this is cute. Perfect proportions, you look tall and thin. These thigh high boots are gorgeous! Augh I want those! You look amazing in it! these boots are so so beautiful! need to get my hands on a pair asap. love how they look with the skirt too. Just found your blog and followed on bloglovin, can't wait for more posts. I can't believe you got those at H&M - they look like they're from a high-fashion brand! Thigh-high books can be tricky but I think you achieved an incredibly chic look! Excellent styling! I am in love with these boots!! Gorgeous! !